Expand your opportunities by becoming Laserfiche Certified! User Groups – Join the local Laserfiche community in your area. Webinars – Hear best practices on document management and automation. Regional Trainings – Get hands-on training at a local, certified class. Workshops – Get an in-person overview of the fundamentals of ECM. Empower Conference – Join us for the premier ECM event. Trade Shows – Talk to a Laserfiche expert at a conference near you. Empower is the premier educational and networking event of the year. Laserfiche empowers millions of organizations across hundreds of industries just like yours. 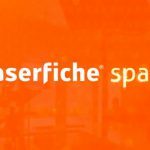 LONG BEACH, CA (Laserfiche)—October 27, 2009—Laserfiche today announced that it has won one of the most esteemed honors in the UK’s content management space: a 2009 DM Award for Green Product of the Year. Laserfiche enterprise content management (ECM) solutions have enabled more than 27,000 organizations around the world to manage billions of electronic documents. Selected as the Green Product of the Year winner by a panel of experts from across the industry as well as readers of Document Manager Magazine, Laserfiche was a finalist in seven additional DM Award categories, including Records Management Product of the Year, Enterprise Content Management Product of the Year and Company of the Year. 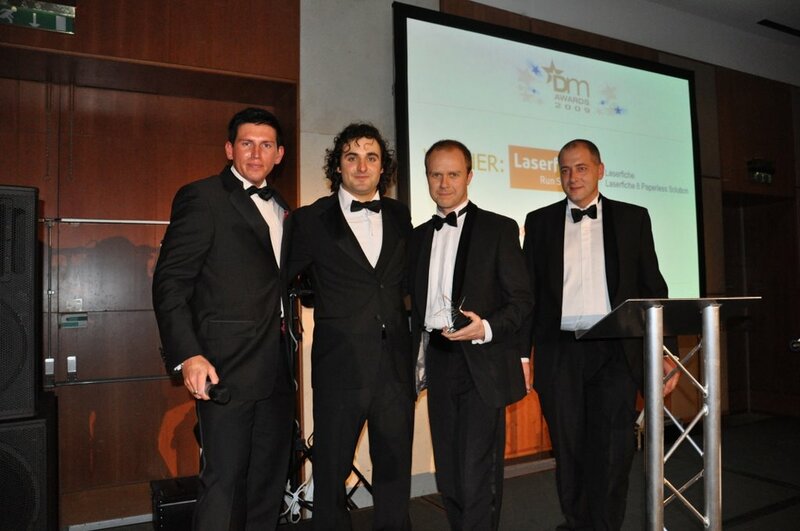 Laserfiche received its 2009 DM Award on October 22 at a black-tie ceremony at The Novotel, London, St. Pancras. Richard Clowser and James Bennett, two representatives from Laserfiche UK reseller Paper Dock, accepted the award on behalf of Laserfiche. James Bennett, UK Sales Manager at Laserfiche reseller Paper Dock, and Richard Clowser, Software Development Manager at Paper Dock, accept the 2009 DM Award for Green Product of the Year. Laserfiche® creates simple and elegant enterprise content management (ECM) solutions that help organizations run smarter. 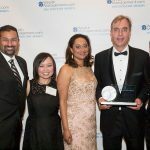 Since 1987, more than 27,000 organizations worldwide—including numerous Fortune 1000 companies and a variety of government agencies—have used Laserfiche software to streamline document, records and business process management. The Laserfiche ECM system is designed to give IT managers central control over their information infrastructure, including standards, security and auditing, while still offering business units the flexibility to respond quickly to changing conditions. The Laserfiche product suite is built upon Microsoft® technologies to simplify system administration, supports Microsoft SQL and Oracle® platforms and features a seamless integration with Microsoft Office® applications and a two-way integration with SharePoint®. Laserfiche distributes its software through a worldwide network of value-added resellers (VARs), who tailor solutions to clients’ individual needs. The Laserfiche VAR program has received the Five-Star rating from Computer Reseller News/VARBusiness magazine. Laserfiche is a registered trademark of Compulink Management Center, Inc.